Portuguese Defense Minister Jose Azeredo Lopes resigned on Friday amid an investigation into a suspected army cover-up of a weapons theft last year, a ministry spokesman said. Prime Minister Antonio Costa accepted the resignation after having firmly defended his minister during a parliament debate on Wednesday where he said he had his trust and should remain in office. Azeredo Lopes denied any wrongdoing. Opposition leaders had repeatedly called for his ouster. 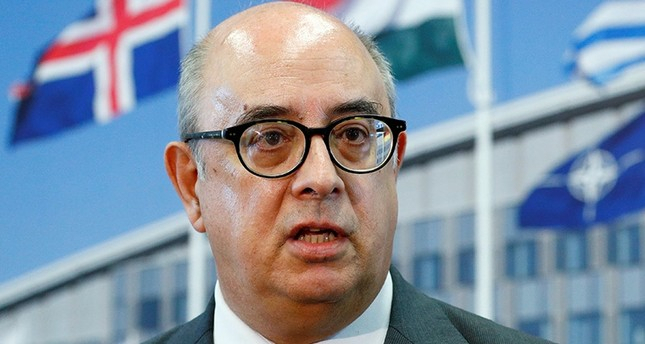 Local media reported earlier this month that one of the suspects had told investigators that the minister was aware of an alleged staged operation to recover the weapons last October, which Azeredo Lopes categorically denied on various occasions, including in his resignation letter on Friday. The minister said in the letter that he was stepping down to protect the armed forces from a political attack against him. He previously called the suspected involvement of the military in the cover-up "an embarrassment." The theft of grenades, anti-tank rockets, other explosives and ammunition from a military arms depot was discovered in June 2017 and caused a furor in Portugal. Questions arose about security at the armed forces bases of the NATO member country. Prosecutors initially said they suspected international arms traffickers and terrorist groups of having stolen the weapons and taken them out of the country, but military police recovered the weapons last October. The recovery, without any arrests or named suspects, triggered an investigation by prosecutors, who last month ordered the arrest of the head of the military police and several army officers.